When we moved into our first home nearly two years ago I couldn't wait to start decorating the house. That was the first thing on my mind, I didn't actually think about how long it would take and so on! The main part of the house I was looking forward to was decorating the girls bedroom. When we came to view the house, the bedroom the girls are currently in was just a spare and cold room. There were no carpets and it just felt empty. We bought carpets within a few weeks of the previous owners leaving the house. 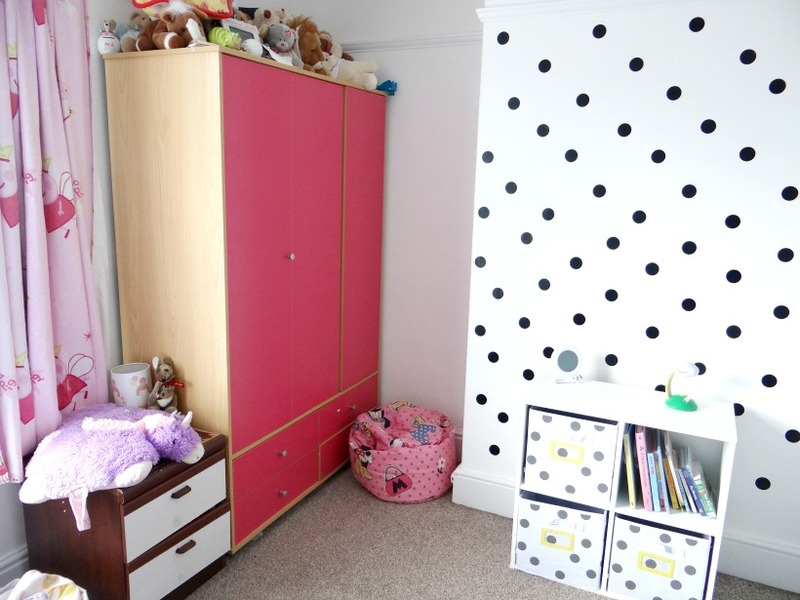 I first went for a light baby pink and Minnie Mouse theme bedroom. The past year my decorating ideas have completely changed. I have loved the bright colours and monochrome style. 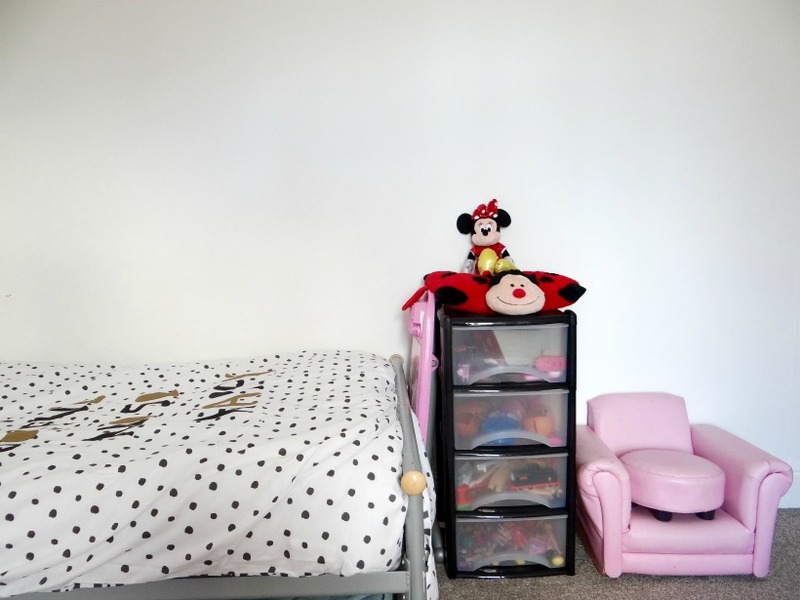 For the past few months I have been wanting to re decorate the girls bedroom and move both girls into one. It took a good few weeks (couple of months) for us to start it. If you have me on Instagram you may have realised that I posted a photo of my bump with a paint pot below, showing that I was starting to paint the girls bedroom white. When I told family and friends what theme I was doing, I don't think they quite understood. However, after a few months it is finished! 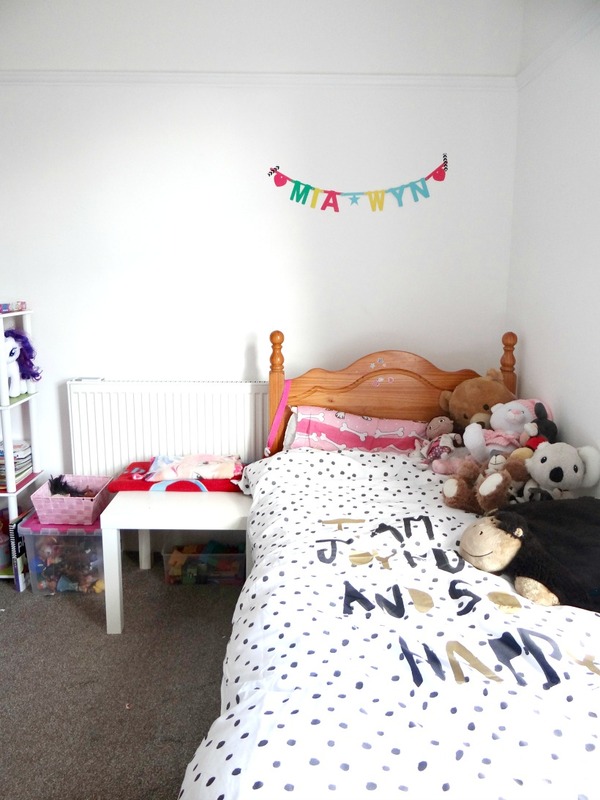 There are still a few things I would love to change such as Mia's bed, curtains, the wardrobe and side cupboard but they will be changed soon! I am also yet to print some prints to stick on the walls and make my own rainbow decor which will be on the blog soon! Hope you all like. 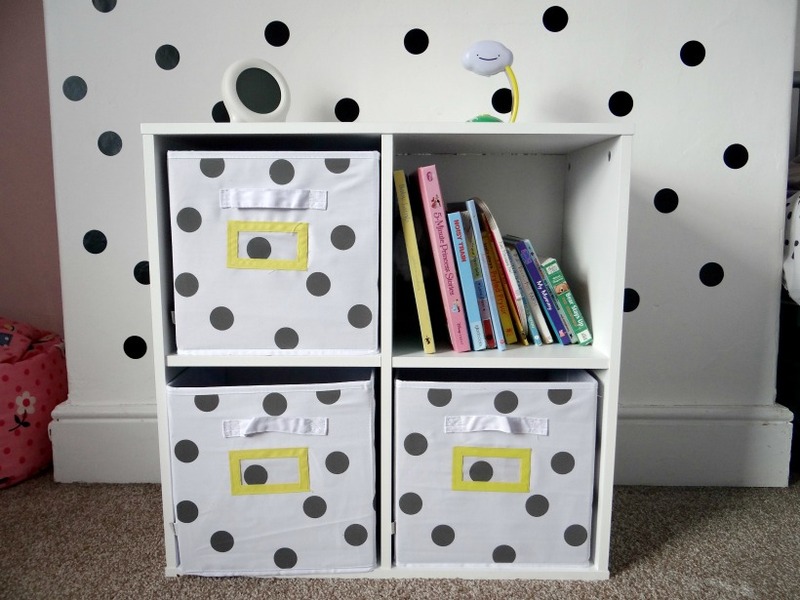 I got the storage boxes from pound stretchers. Bedroom goals right here. I hope the girls love it. You've done an amazing job, I love the colour scheme and the storage. 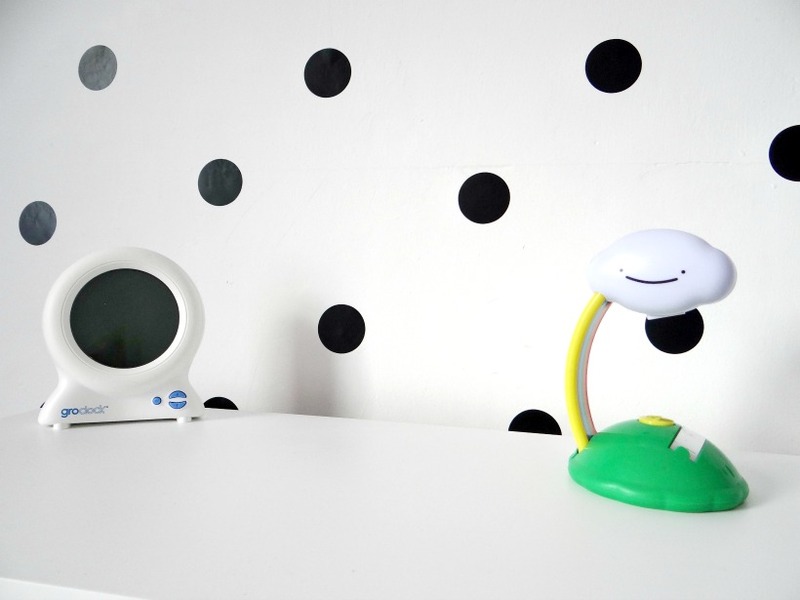 I would have been happy to have that bedroom when I was little. 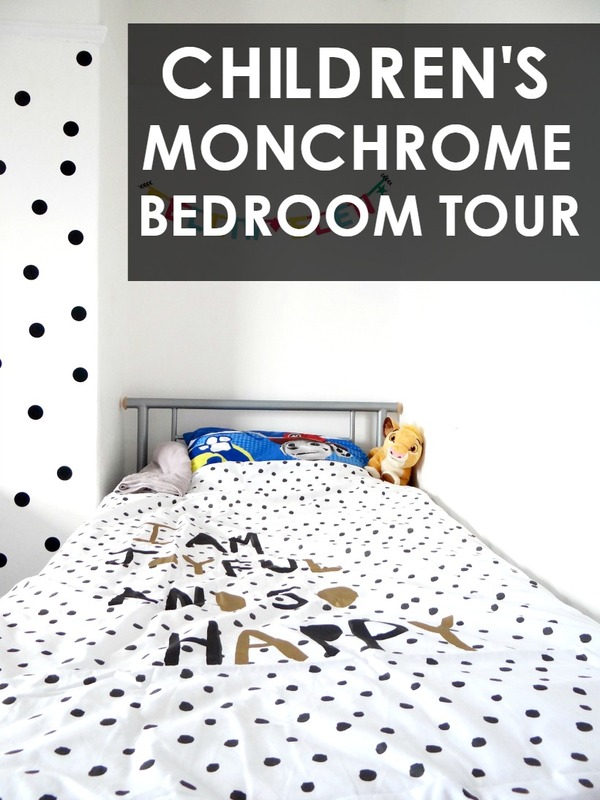 I love color in clothes but a monochrome or neutral bedroom works best and makes your space just seem more clean and fresh! 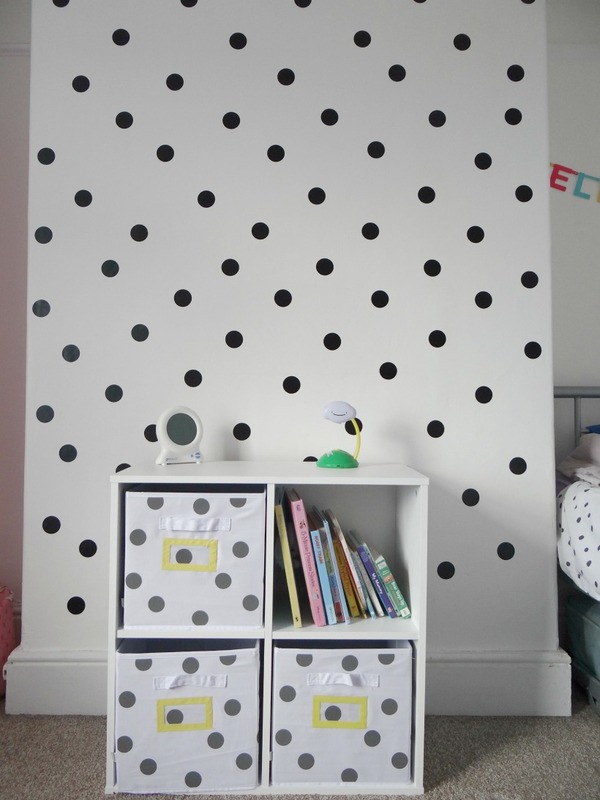 I really like the recurring polka dot pattern. It's awesome that you were able to find those storage boxes and the duvet cover. I love this! It's stylish, but really simple and bright too. Awww you've done such a good job with this room! I love anything monochrome, the more the better! looks like you have done an amazing job, it looks great. 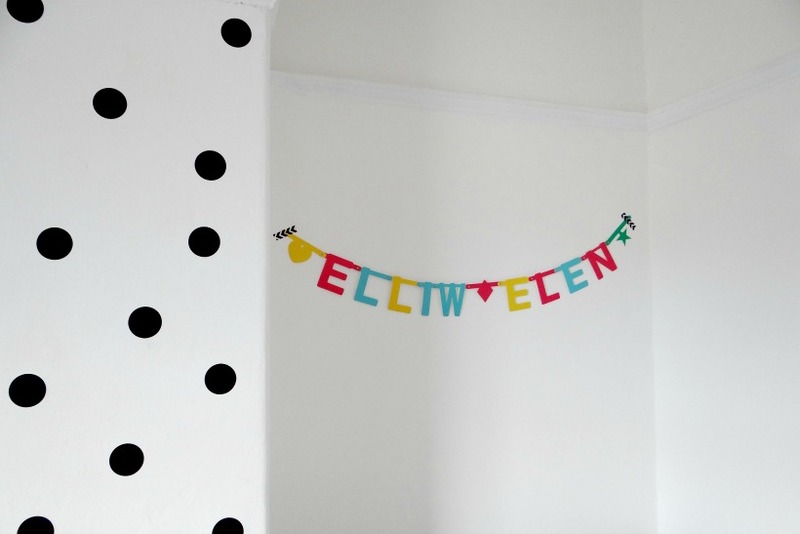 Those spots are so funky - I do like a splash of colour though - The bunting looks great too. What a fabulous bedroom! 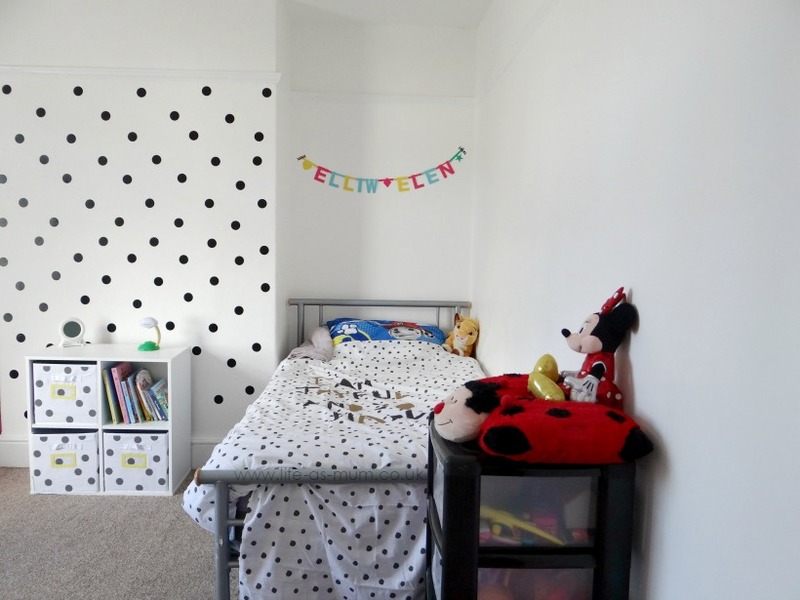 I did my girls bedroom in black and silver when they were about 14. They still have it now, as it is classy and timeless! 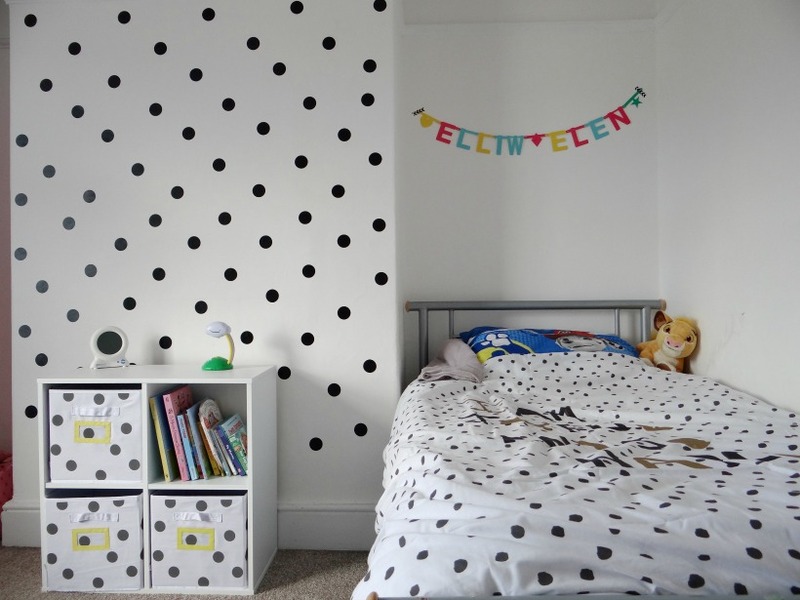 Love it especially the polka dots on the wall. Well done on getting it done, decorating always take ages. I bet you little girl is over the moon with it. I love that the room is mostly monochrome but there are sudden bursts of colour, like that very pink armchair!